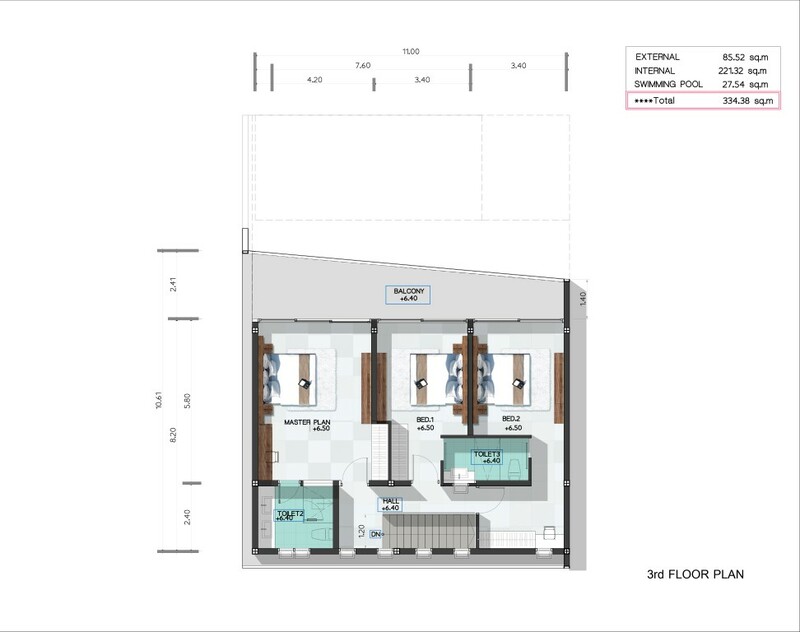 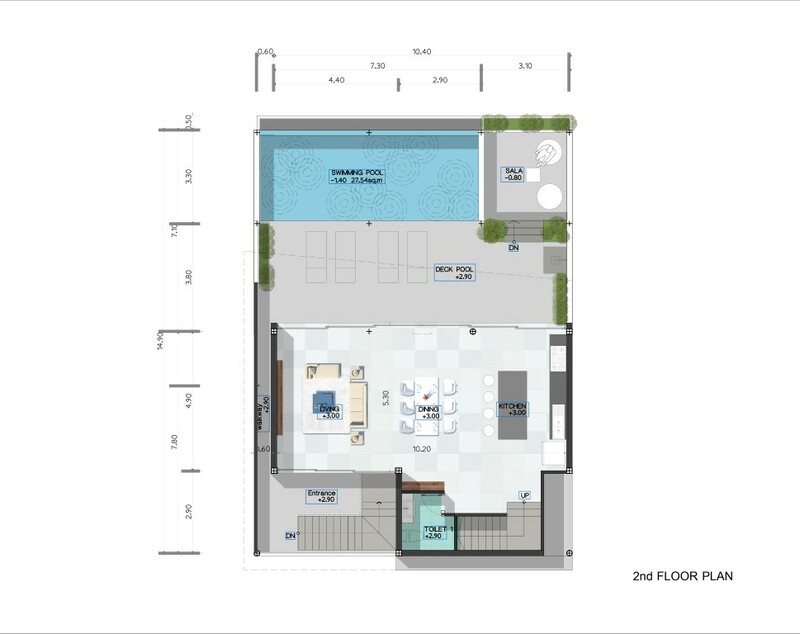 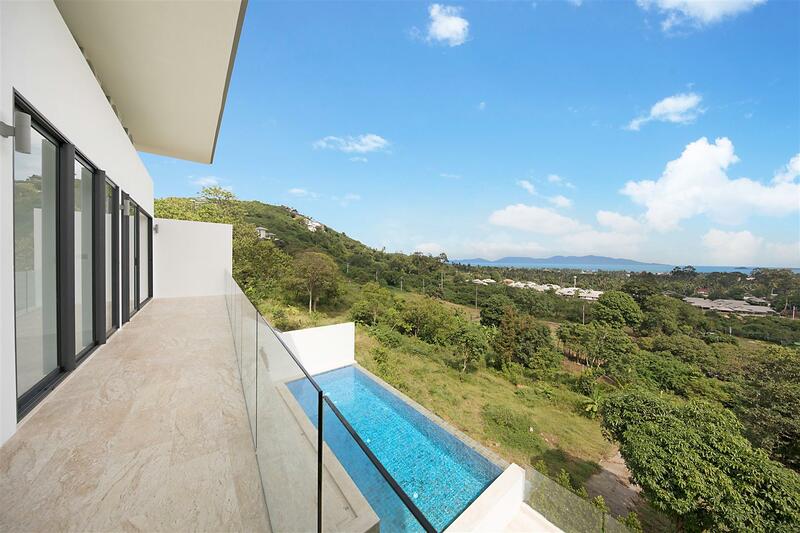 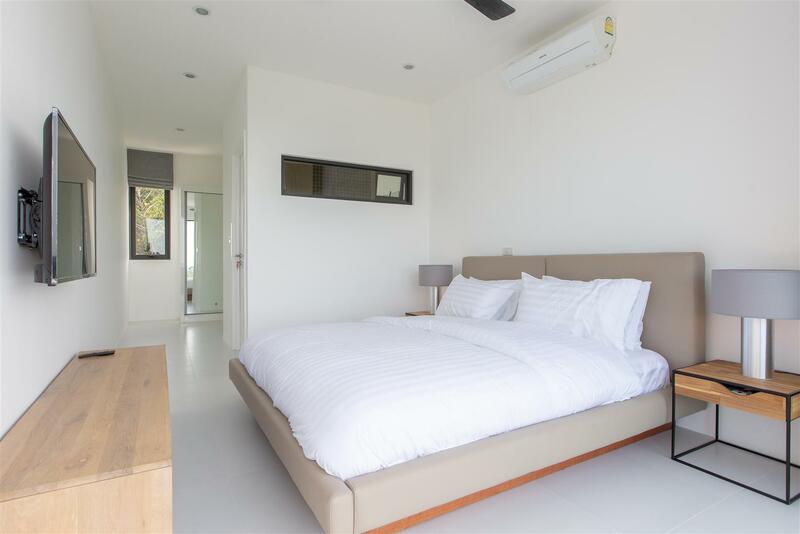 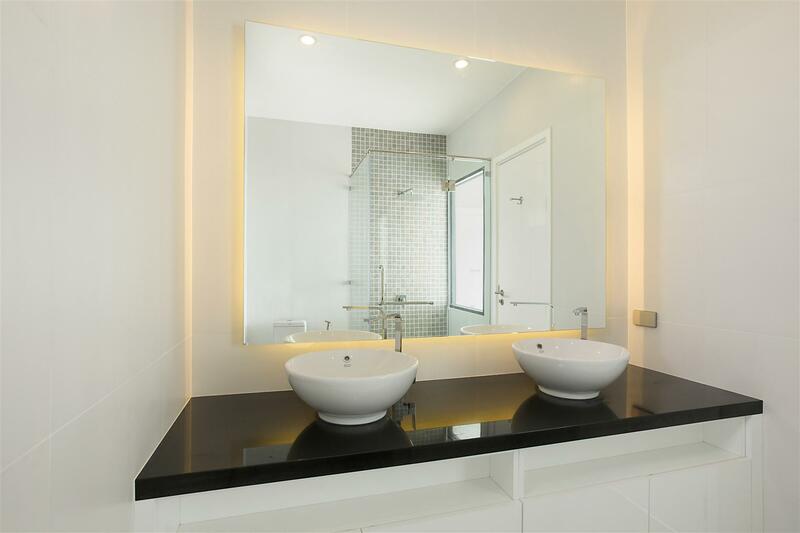 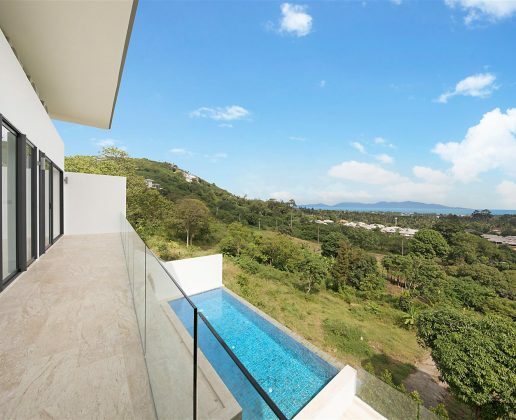 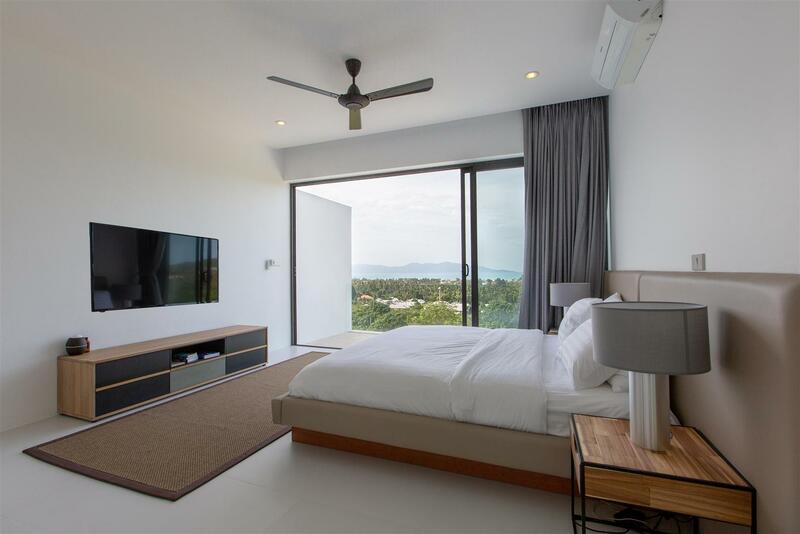 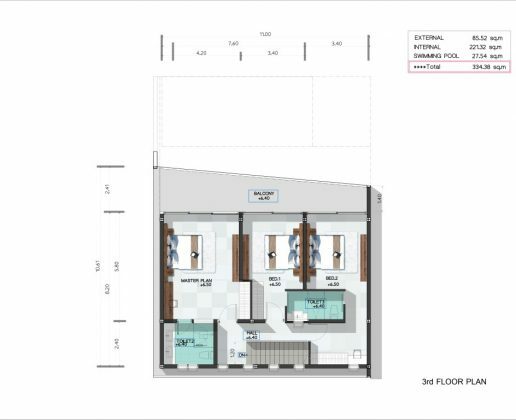 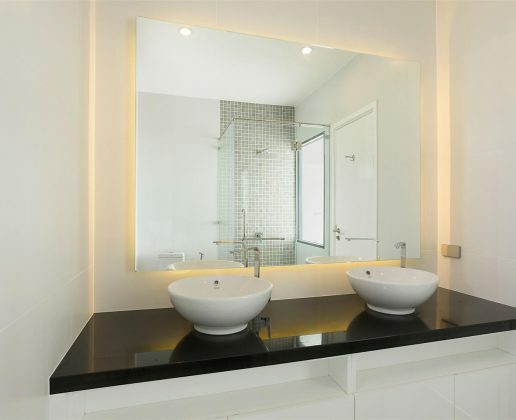 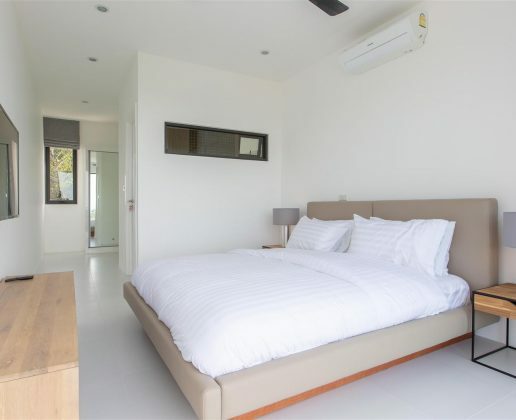 New sea views development located in Bophut, 5 minutes away from Fisherman’s Village with beachfront restaurants, shopping center, hospitals & more as well as 10 minutes away from Chaweng with its nightlife and Central Festival mall. 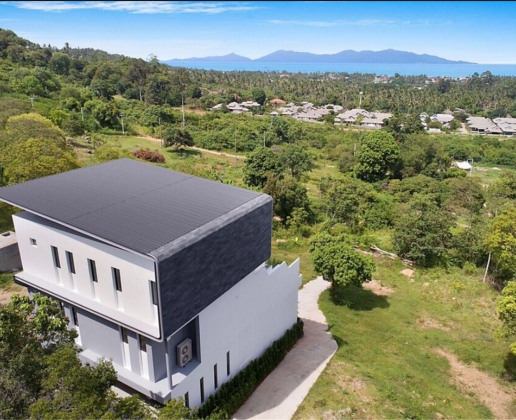 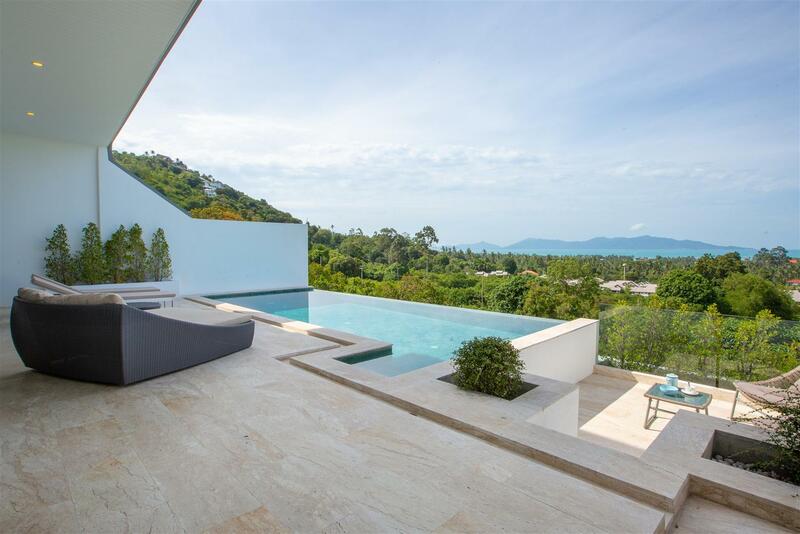 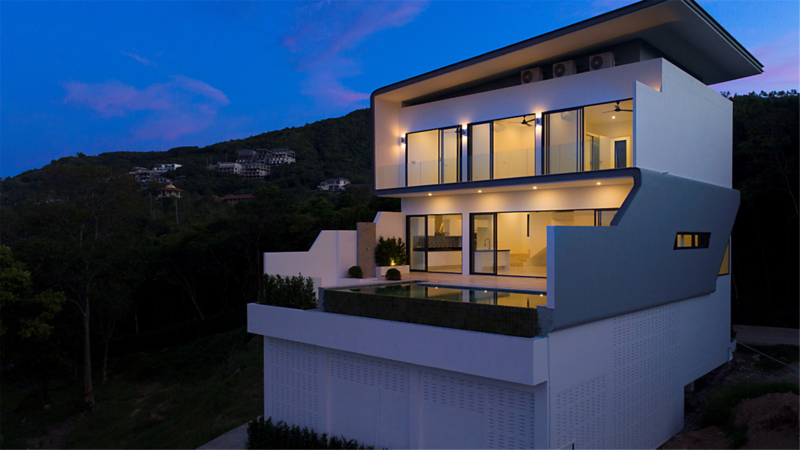 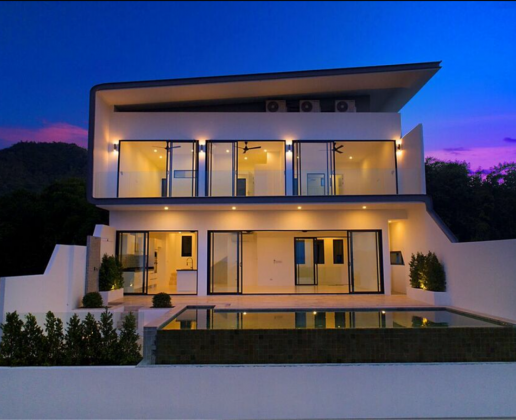 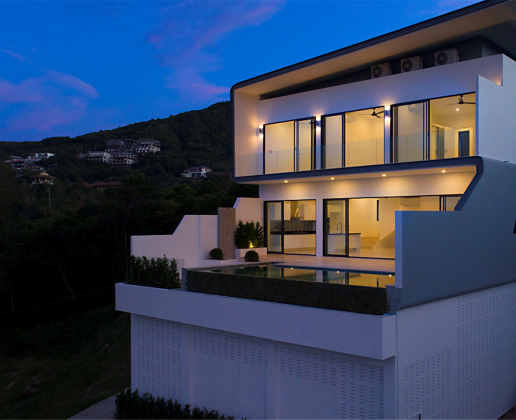 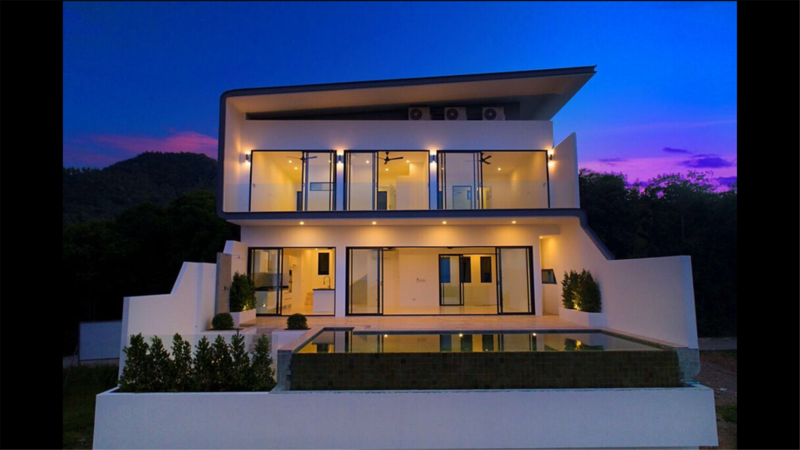 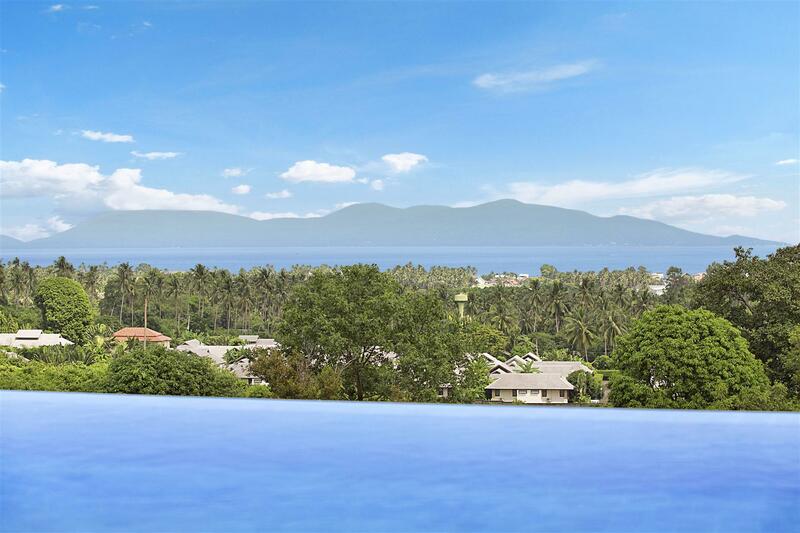 The development presents 6 modern designed pool villas, with beautiful sea views towards Koh Phangan. 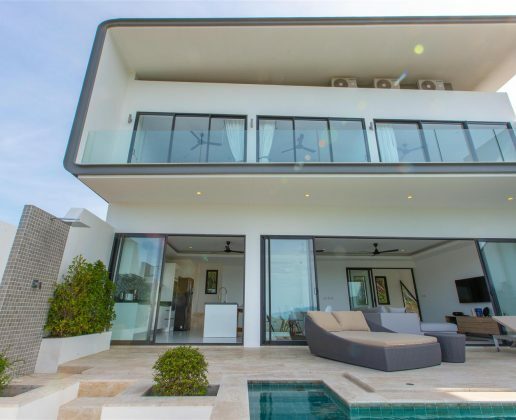 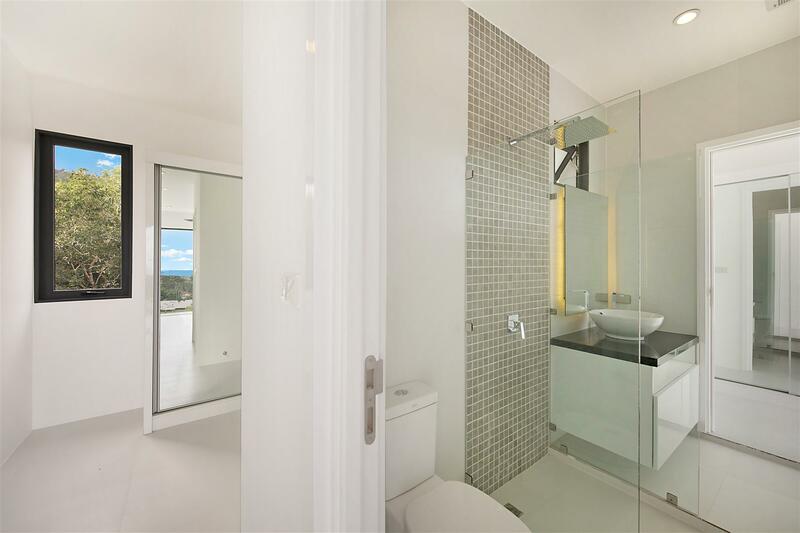 Comprising of six 3 bedroom sea-view villas, it also includes a football pitch and a playground. 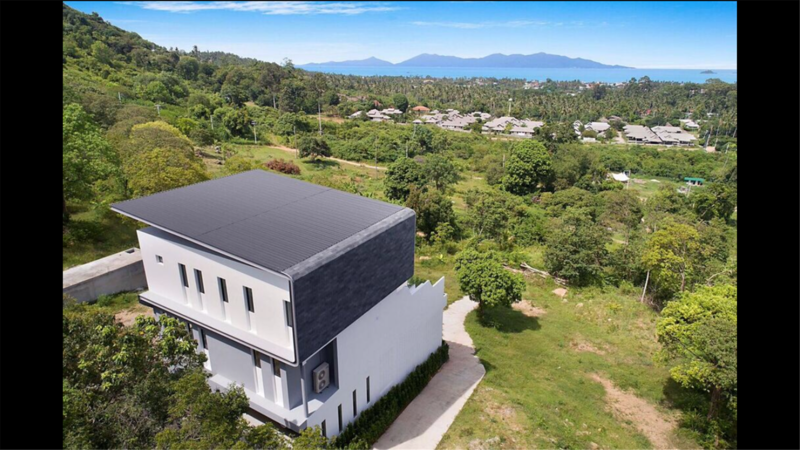 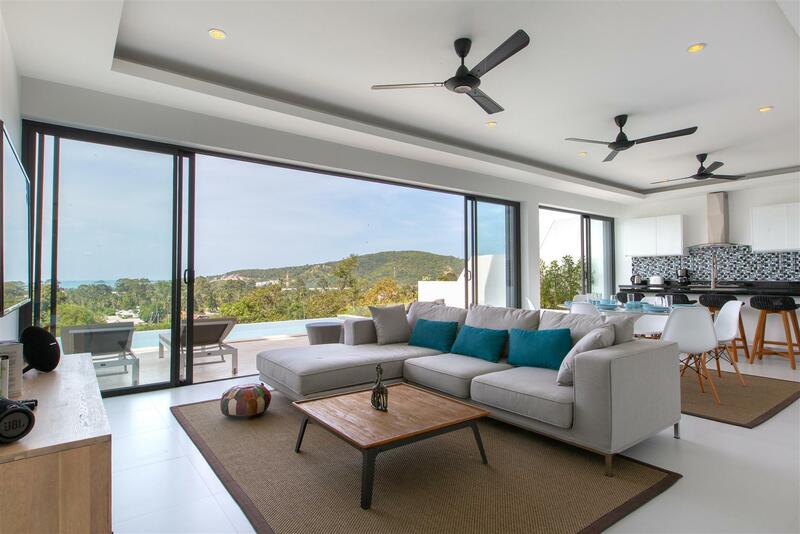 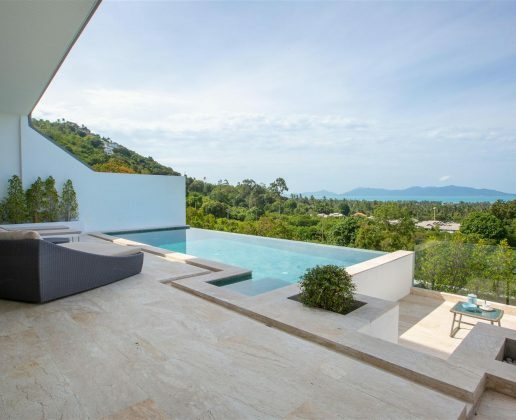 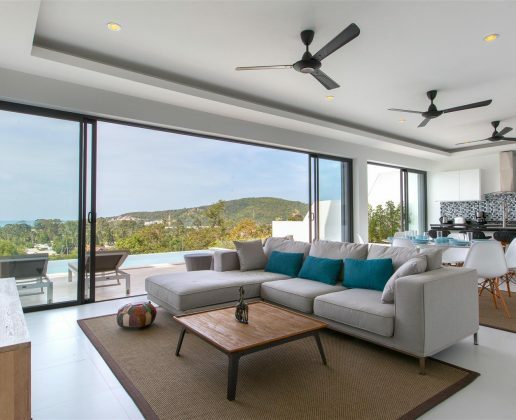 The complex will be fully managed with maintenance of the common areas, garden and pool as well as security for a charge of 7,800 THB per month. 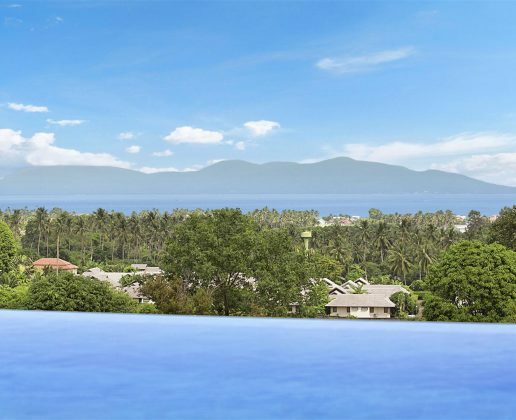 The development also provides free water from its own deep well. 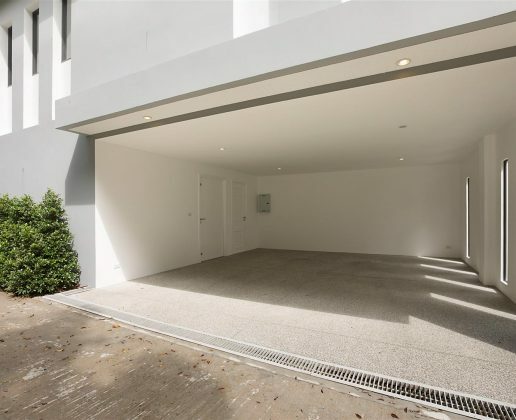 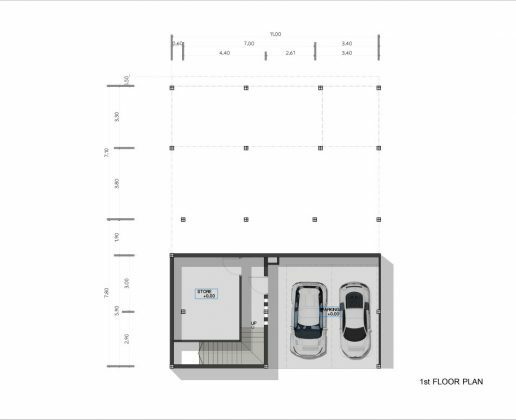 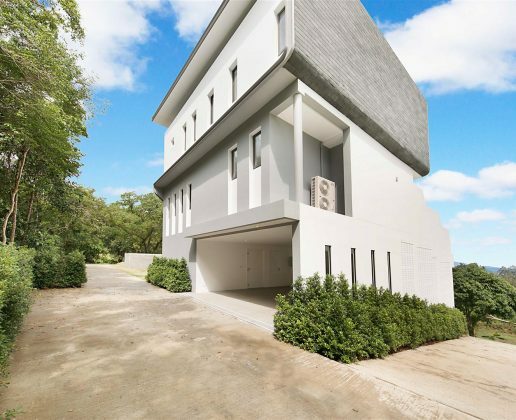 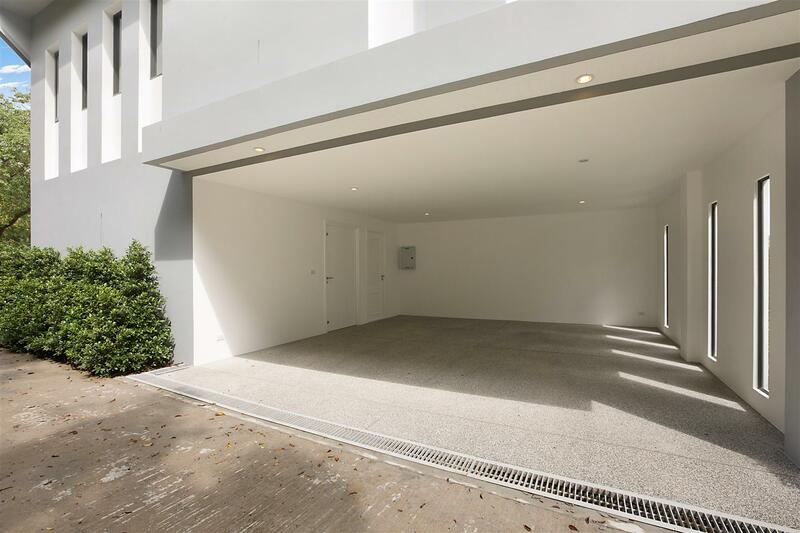 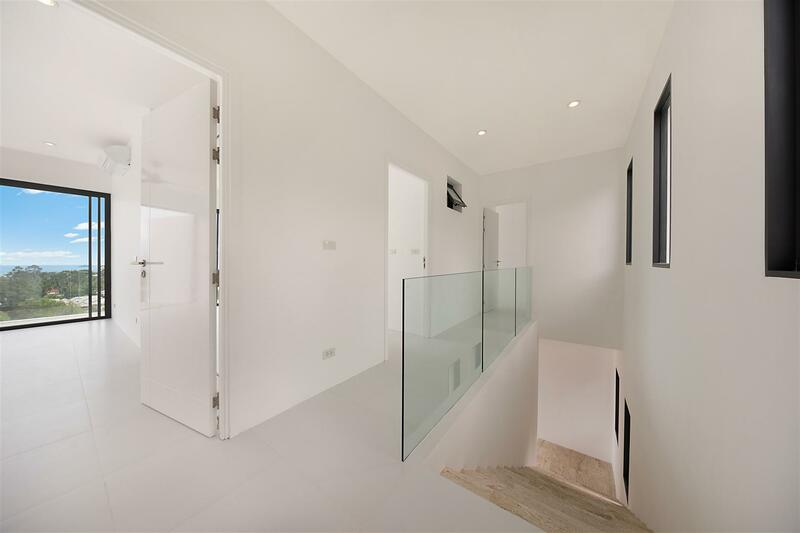 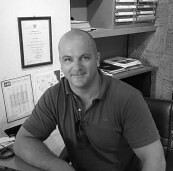 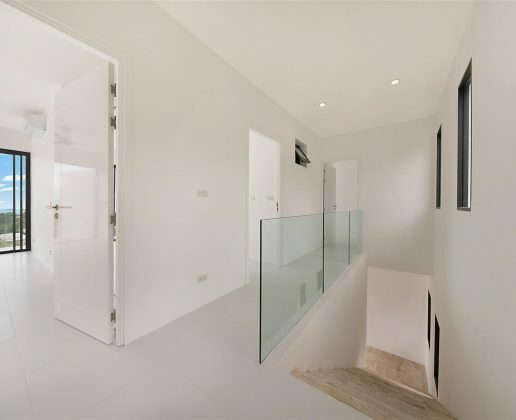 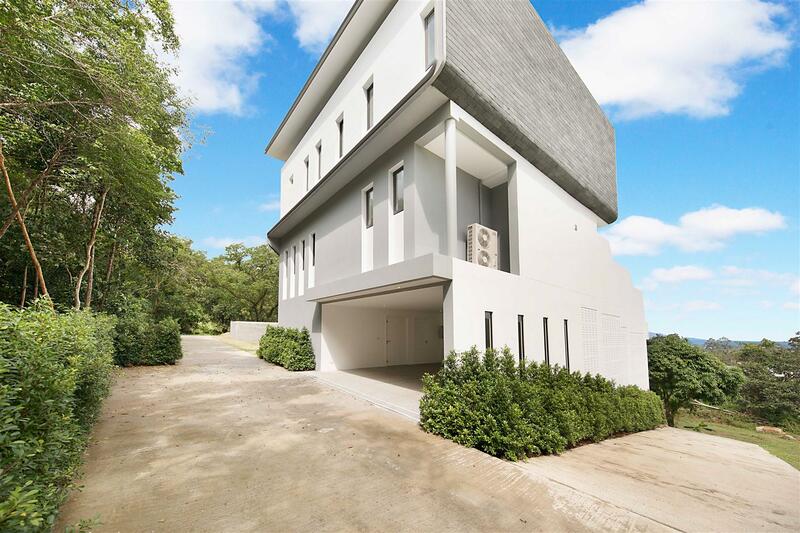 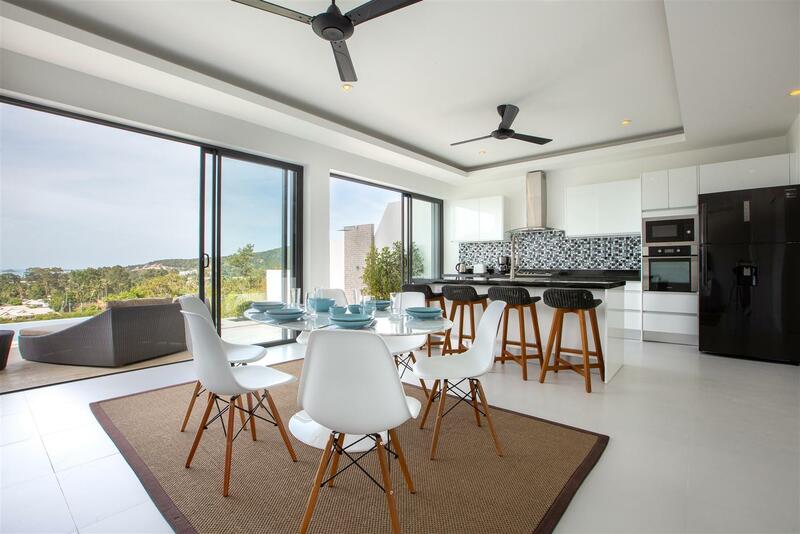 The villas are accessed from the back with a private covered parking area, with a separate storage room. 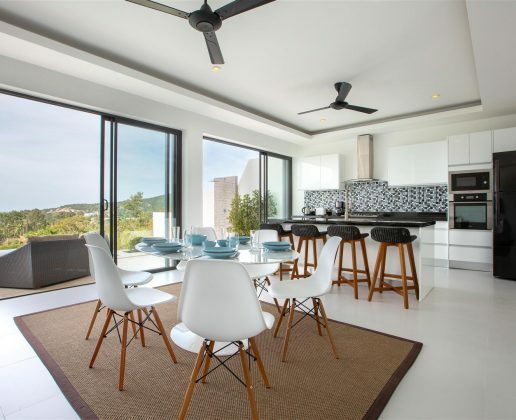 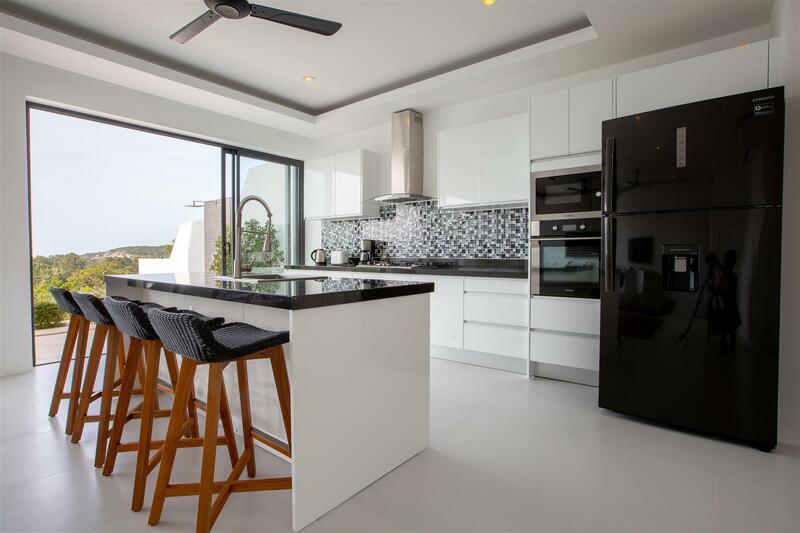 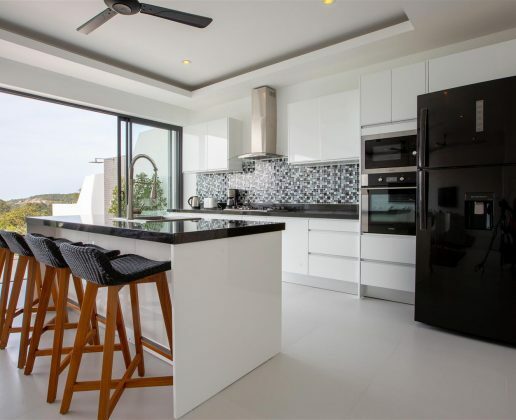 The villas feature an open-plan living, dining on the ground floor, and a high-standard fully fitted kitchen with granite countertops, an island and appliances. 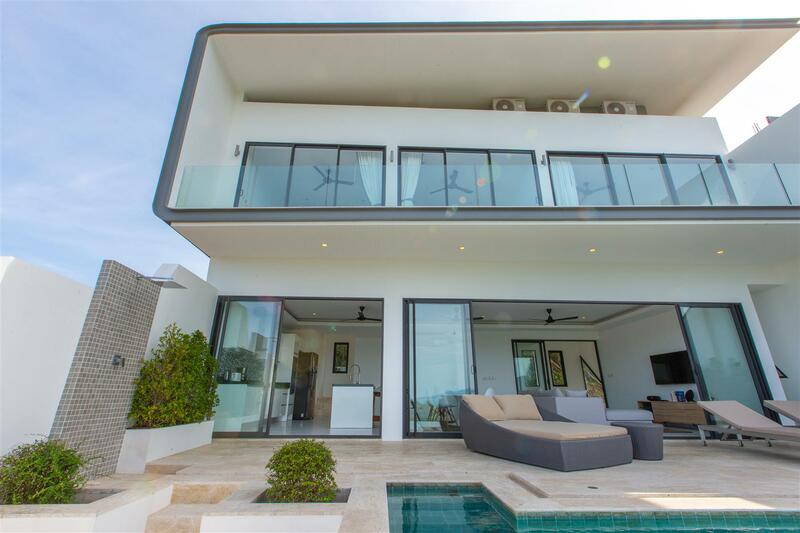 There will be sliding glass window covering the full length and width of the villa opening onto the pool deck. 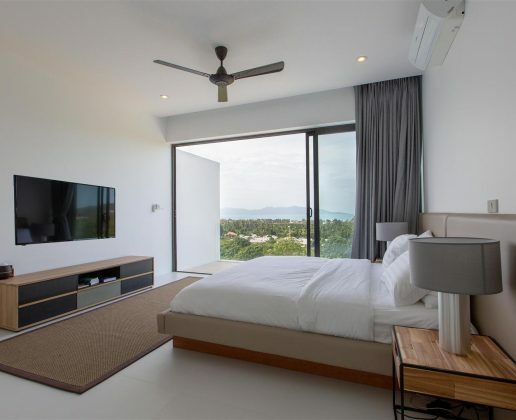 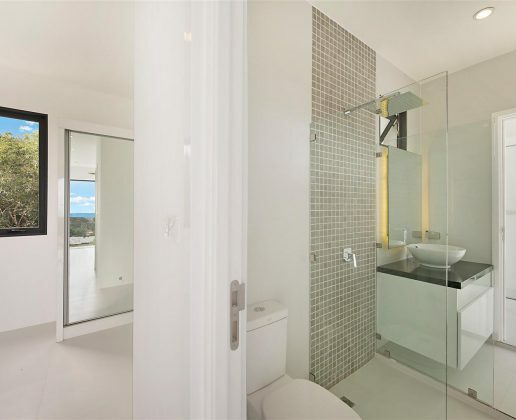 The top floor mainly consists of one master sea view bedroom with private balcony and en-suite bathroom, and two guest sea view bedrooms with a shared bathroom.